The garage is an important structure of a residential property. Not only does it provide your vehicle and other belongings with protection, more than 70 percent of homeowners use their garage as the main access point to their home. With the role garages play in our lives, it is essential that the garage door and garage door opener remain in good, working condition. However, after years of use and wear, it is not uncommon for problems to appear that requires professional garage door repair. When these issues arise, it is important to contact a professional garage door contractor nearby to make the necessary fixes and adjustments to ensure you get the most use out of your garage. There are plenty of garage door contractors out there, but when you need experienced and professional garage door repair in Greenfield, you can rely on the services from Garage Door Doctor, LLC. At Garage Door Doctor, our team of experienced technicians has been offering quality and affordable garage door services in Hancock County for years now, servicing a wide range of garage door makes and models. 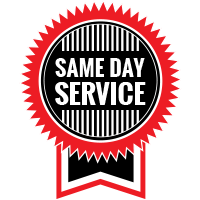 Unlike competing local garage door companies, we offer same-day garage door services and emergency garage door services, so you do not have to wait for your garage to be accessible once again. As one of the leading garage door companies in Hancock County, Garage Door Doctor offers friendly and professional garage door services in Greenfield. We understand that a faulty garage door can cause delay, frustration, and inconvenience, which is why we are committed to helping our neighbors with quick and efficient maintenance and repairs. No matter what your garage door problem is, you can rest assured that our services will offer a working solution. 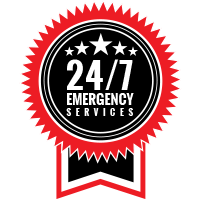 Whenever your residential garage door malfunctions, you can count on our expert technicians for professional garage door repair, maintenance, and installation. Don’t let a faulty garage door ruin your day, let our technicians lend a helping hand. You would be surprised how much convenience a garage door can add to a commercial building or business. When these commercial garage doors stop working, they require professional knowledge and experience to make the proper fixes. The team at Garage Door Doctor offers complete commercial garage door services in Greenfield to help improve the functionality of those businesses nearby. Receiving routine garage door maintenance will help you ensure that your garage door and garage opener are in good condition and it will help reduce the need for future repairs and expenses. There are a variety of factors that can cause your garage door or garage door opener to not operate properly. When your garage door system is no longer functioning properly, you can rely on our team quickly make the necessary repairs and adjustments to get it back to normal operation. Greenfield garage doors put a lot of stress on the springs that hold them. These springs can break at any time due to excessive force. Whether your garage door springs are worn and you need spring replacement or you have a broken garage door spring and need the necessary repairs, you can count on our team to offer a solution! From building a new home to replacing your outdated garage door, Garage Door Doctor can provide you with the garage door installation services in Greenfield that you need! We are committed to installing only the best garage doors from leading manufacturers. Day or night, a broken garage door can be a serious inconvenience and cause homeowners a mass amount of frustration, especially when there are urgent matters at hand. We know these accidents can happen, that’s why we offer emergency garage door repair in Greenfield! Whatever your garage door needs are, the qualified team at Garage Door Doctor are available to help. We strive to provide the best local garage door services in Greenfield and the surrounding areas throughout Hancock County. To receive a free garage door quote, contact our garage door contractors today!